Product prices and availability are accurate as of 2019-04-21 12:11:20 BST and are subject to change. Any price and availability information displayed on http://www.amazon.com/ at the time of purchase will apply to the purchase of this product. "Excellent audio quality! The adult version of being read a bedtime story!" | "I've always been a light sleeper, but now when I have my SleepPhones on I'm set for a great night of peaceful, restful sleep. I don't know what I'd do without them- in fact I have two sets just in case!" 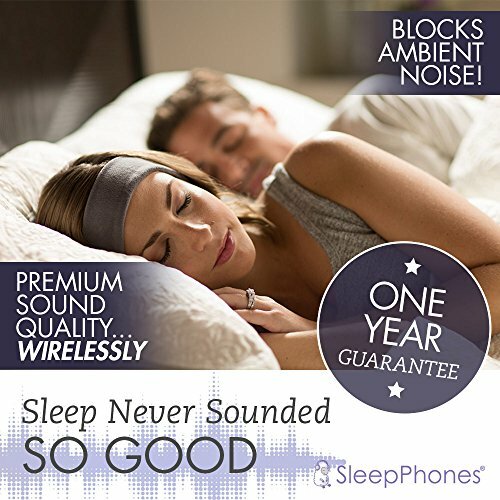 Say goodbye to restless nights with AcousticSheepÂ® SleepPhones! Our headphones feature ultra thin speakers tucked inside a lightweight, machine washable headband and are the most comfortable headphones to wear to bed. Our innovative design allows you to fall asleep while listening to your favorite music, podcast or ebook without bulky earbuds digging into your ears or falling out and are perfect for both back and side sleepers! 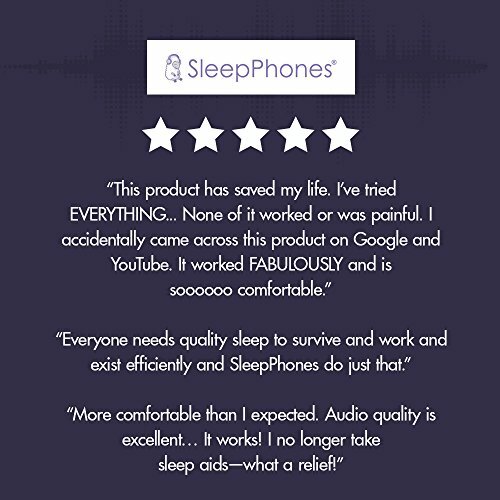 Whether you use SleepPhones to help with insomnia, to block out a partner's snoring or even noisy neighbors, our high quality headphones allow you to fall asleep naturally without relying on sleeping pills simply by listening to relaxing music. 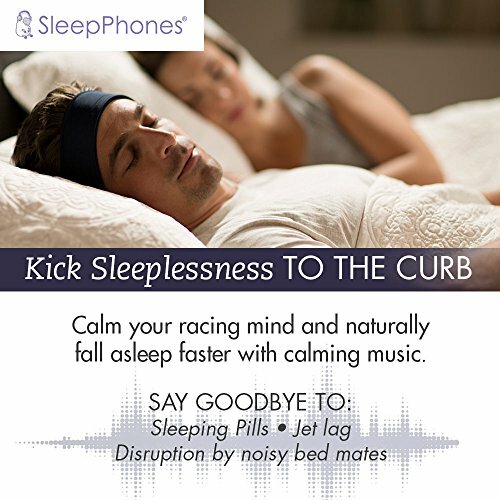 Developed by a family physician, SleepPhones also offers free downloadable mp3 tracks featuring specialized sounds to slow brain waves and induce a deeper sleep. Our SleepPhones pair with your bluetooth device with the touch of a button and feature speakers that are both removable and replaceable. SleepPhones can also double as an eye mask, allowing you to sleep anytime, anywhere! 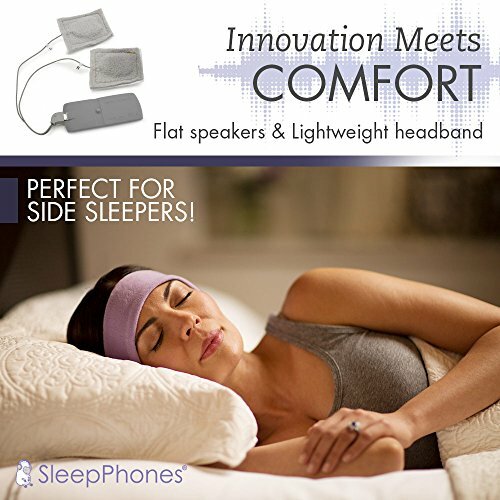 All SleepPhones are backed by a 100% satisfaction guarantee for one year after purchase. If for any reason you are not satisfied with your purchase, contact us so we can make it right! Looking for more innovative options from AcousticSheepÂ®? Try our SleepPhones Classic Headphones, or our RunPhones Wireless & Classic Headphones! 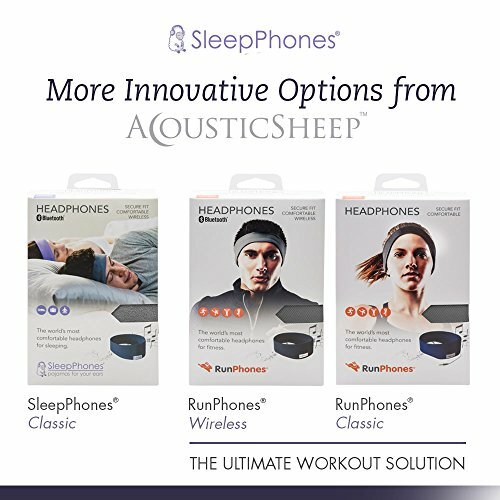 Order your AcousticSheepÂ® Wireless SleepPhones today, and make sleeping with headphones a dream come true! SLEEP NEVER SOUNDED SO GOOD: High quality speakers offer premium sound quality & block ambient noise NO MORE EARBUD POWER STRUGGLES: SleepPhones stay put so you can stay asleep! 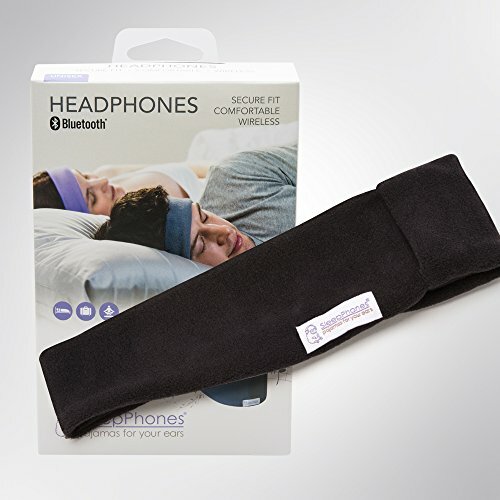 Pair your device & relax INNOVATION MEETS COMFORT: Flat speakers & lightweight headband are perfect for back & side sleepers KICK INSOMNIA TO THE CURB: Calm your racing mind, fall asleep faster & naturally with calming music CUSTOMERS SAY: So comfortable, I don't even know I am wearing them! | I no longer take sleep aids!